Lean Training - The tools I created for you, proven to work and I love. 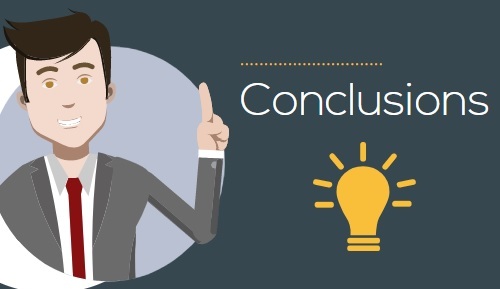 In this article, I will reveal you my strategies for an effective Lean Training. I will reveal you how to use a "new generation tools"
to train yourself and the others in a new and engaging way. the effectiveness of what I am proposing to you. If you want to download the free material follow this link now. Before start let us go back to the past. It was the first time I heard about Lean Production. I was a young engineer, and I was not able really to see the waste and the opportunities in the company. Believe me, I was willing to improve, but I had not good tools apart my motivation. The motivation was a great resource. Motivation + Lean Tools = Great Success. In this years by combining motivation, lean training, and lean tools, I was able to have improvements you will not believe! The numbers do not tell you all the story. The results are stable since 2006 and are constantly improved. What is important is that the results are The key to success are the people. Blue Collars, Supervisors, Leaders. Everybody was really involved in the Lean journey towards success. Some of them are now so involved that everyday they think about improvement. We something like a TRIBE! I am convinced that the success is made by people ... with the right tools. To give the people the right tools you have to train them. To train them you have to know effective and efficient methods. This what I call the Lean Training! You need a Lean Training! I started to search a way to train and engage people on the Lean Production. Sometimes was free and with poor quality. I decided to try something new, and I will reveal later after explaining to you what I mean by Lean Training. What is a Lean Training? 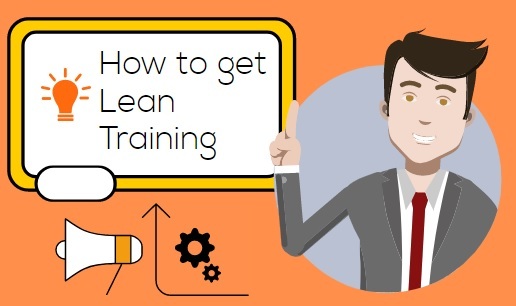 I state that Lean Training is not equal to a Training about Lean. Lean Training is different from a Training about Lean! A Lean Training is a way to teach people in an efficient and effective way. You can understand that you have done a Lean Training when the trainees reach you and say! you can see their face and feel that they have understood! "You have to do a Lean Training about Lean Concepts and Lean Tools." The Training is an hard discipline. The goal is to transfer knowledge and let the trainee be able to do what you know and can perform. My idea was different when I was young. In 2002 before starting doing something I supposed to study a lot, be a self-made expert then making something. there was not the internet, multimedia tools, web chat and many other attractive tools. Today the things are very different. 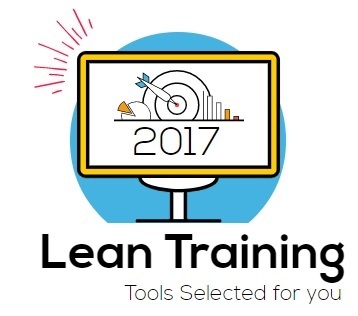 You have on the table tons of new tools you can use to transform your training in a Lean Training. and finally, you can learn the basics faster and start doing something very soon. It is crazy to imagine to teach Lean as I supposed to do in 2002. This what pushed me to find different channels to teach Lean and have a Lean Training. Here there is my case study! Lean Training Tools: Train 100 People in engaging way. By following the WEB, during the night I had an idea. Why do not use the web to train people about lean? I will teach the web-people, and I will learn too. At the end of the day I am a GIVER! 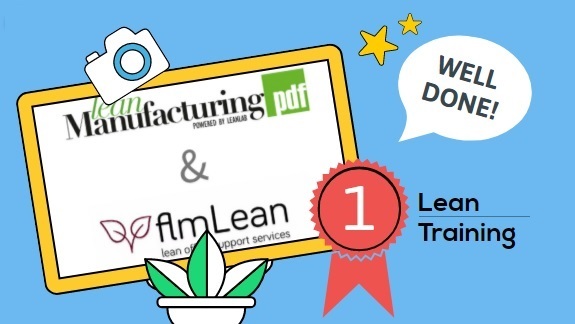 I created the website www.leanmanufacturingpdf.com to share knowledge create lean pdf and get in touch with people willing to learn. Here you can find the Lean PDF list I created. 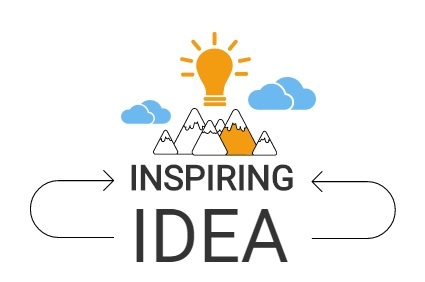 To teach people across companies, I was looking for something stunning rather then boring them with: "Lean was invented by Toyota BLA BLA BLA ...."
I decided to create videos to start the training in a different and engaging way and HOOK THE AUDIENCE! The founder of the third largest group about Lean on Linkedin (Fabrizio Cireddu) used to start his training with my videos too. Here on of the video I created. 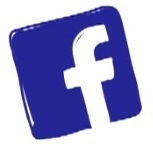 You can download 3 videos for free by visiting this page. Youtube is a great platform. I see two weak points. 1) You have together 5 stars videos and poor quality video. I decided to select for you the best videos and organize in a structured way. The video course in PDF and www.leanvlog.com were born for this. # 4 - From Teacher to Friend. Stop to the boring lessons! Do not be a professor! Be the friend at the bar that explains in REALITY: how it works, the words to use, the points of attention, the case study etc. This is the concept I used when I wrote the KANBAN COURSE in 5 Mails. In 2002 my idea of training was entirely different from today. I tried to use new media to train people about Lean Thinking and Lean Tools. * VIDEO --> I select best videos, and I organize for students. suggest me that this is the right way to follow. Download FREE material for Lean Training NOW!